There's a brush war in the field of ecology in attempting to describe the basis for biodiversity. An experiment that mixes modeling and mud amid California's wildflowers looks for some clarity. Those who study nature have a simmering controversy centering on why different but similar species — whether they&apos;re annual grasses, reef fish or South American birds — coexist in the same area. Why doesn&apos;t the fittest push out the competition? For a century or so, the answer was so blindingly obvious nobody questioned it, and more importantly from a scientific perspective, nobody tested it. The obvious answer is that each of those similar plants or animals weren&apos;t exactly similar, and each took advantage of a slight but perceptible difference in resources — say more nitrogen in selected patches of soil — that it was better suited to tap. Ecologist Jonathan Levine has a nice analogy for this "niche theory:" "By dividing up the environment, they can share the habitat and share the resources of that habitat, much like different products cater to consumers of different tastes. "So you can think of a Mercedes, for example, competing against Hyundai. Sure they both make cars, but effectively they are not competing all that intensely; they have different market strategies and different customer bases." The matter was settled. For decades ecologists generated satisfying hypotheses for what controls species diversity, all without good and rigorous evidence. "It wasn&apos;t a particularly energetic area of research," Levine admitted. And so this vacuum opened "the field to this kind of iconoclastic hypothesis of the &apos;neutral theory.&apos;"
It&apos;s been around for decades but really took off in 2001 when Stephen Hubbell, then a plant biologist at the University of Georgia, published "The Unified Neutral Theory of Biodiversity and Biogeography." It holds that species might be co-occurring because they were effectively equivalent competitors — that they&apos;re battling it out until they&apos;re all beat. Levine offered another marketplace comparison: "This is an analogy of thinking of two airlines that compete with a rather similar market, United vs. American Airlines, for example." While neutral theory has upset a few academic apple carts, Hubbell&apos;s credentials, buttressed by two decades of Smithsonian-sponsored data collection on a Panamanian island field station, were exceptional. It hasn&apos;t helped that niche vs. neutral partisans sometimes speak in zero-sum terms instead of using terms likes bridges or continuums. "It&apos;s not niche or neutral —both things are happening," Stan Harpole at the University of California, Irvine was quoted in 2006. "It&apos;s determining the relative importance of the two. What&apos;s missing from each theory is the other one." There are benefits to the debate. "The six-year saga of neutral theory is an intriguing example of how a scientific hypothesis can fertilize stimulating new research while evolving over time in response to scientific critiques," Jayanth Banavar, a Penn State University physicist who has worked with Hubbell, said several years ago. "There is ultimately a struggle for existence in either case. The question really is, &apos;How is that struggle resolved?&apos;" Levine summarized. "In the latter case, it is essentially stalemate because the two competitors are so evenly matched and one can&apos;t win. In the classic scenario, the species are really doing different things which allow them to share the habitat." A new study — conducted by Levine, at the University of California, Santa Barbara, and fellow plant ecologist Janneke Hille Ris Lambers from the University of Washington — appearing today in the weekly journal Nature offers more support for the niche players. 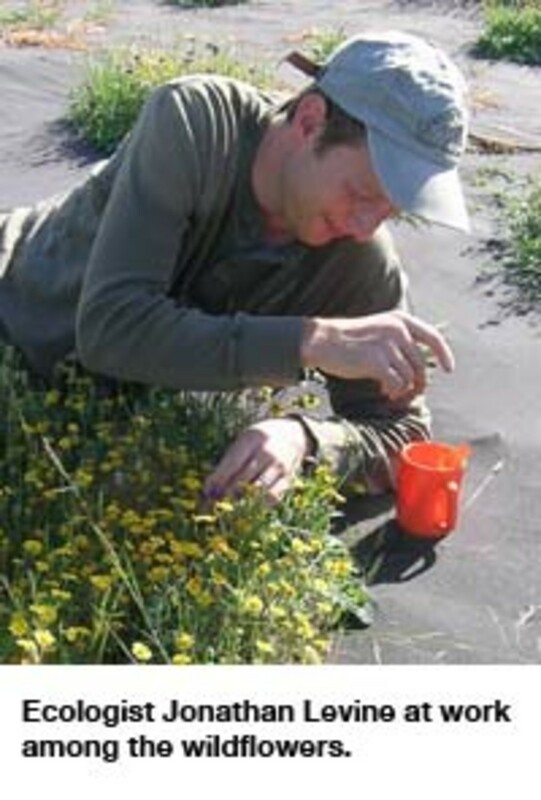 "The importance of niches for the maintenance of species diversity" looks at a combination field study and mathematical model of some annual wildflowers growing in Central California, roughly 20 miles inland from Levine&apos;s coastal campus. In it, the niche differences helped stabilize the continued coexistence of the various grasses. Using a computer model to zero out niche differences seen in the field, the researchers showed that as those differences disappeared, species diversity declined. Under the neutral theory, factoring out those differences wouldn&apos;t have mattered since the species had established a status quo of slugging it out, but the model suggested otherwise. Levine freely acknowledges that the computer work is "hypothetical," although the researchers went to great pains to weed out inappropriate models. Modeling, prominent in the arsenals of both factions, will undoubtedly be where criticisms of this paper will appear. After speaking before the Ecological Society of America last month, Levine said, "I get the impression that about 90 percent of my colleagues think it&apos;s elegant and about 10 percent of them don&apos;t believe it. I think that the notion that we could actually use a mathematical model to eliminate all niche differences from a community, even for those that are theoretically inclined, still seems a little bit too good to be true." It&apos;s, well, kind of like cheating. "But what&apos;s so neat is that when we did do that it actually compared with field results in exactly the same way the niche theory says it should have worked. So we have confidence that what we did ... is indeed reflecting the biology of these plant communities." Levine himself straddles the communities of theory and experiment. "You can imagine that these are niche differences of themselves," he joked, "so being acquainted with math and computers is often precluding one from being acquainted with large plots of mud." His co-author, Hille Ris Lambers, usually works more with forests but is also an expert at using mathematical techniques to understand questions from the field. "What is innovative about the work is this sort of tight interweaving between mathematical models and field biology." Other efforts have gone where diversity is high — like the Ecuadorean Amazon or coral reefs (pro-niche here and pro-neutral here) —and drawn data from the specifics alone. Levine and Hille Ris Lambers&apos; work, on the other hand, "really does show you that you can go after questions that had been largely unsolved for a century if you&apos;re willing to jump whole hog into both approaches simultaneously. "It was really this back-and-forth between the computer modeling and the field work and the field dynamics that we quantified that allow us to see the signature of niche differences in species diversity." At the larger frames of reference, of course, there is no dispute that adaptation, and not confrontation, rules. Comparing plants in the Arctic with those in the Amazon, we know the plants interact with their environments differently and die or thrive based on that. The same goes for polar bears and jaguars, or penguins and parrots. "But we asked the question in a system where it&apos;s kind of ambiguous," Levine said of his and Hille Ris Lambers&apos; effort. "So we have a bunch of annual plants that from all practical standpoints look rather similar; they&apos;re all rather small; they all develop deep roots initially in the year and die later in the year and so on. ... On the one hand, you could argue that these plants are rather similar, and it&apos;s entirely reasonable that these plants are co-occurring by simply this competitive stalemate explanation. "On the other hand, you can look closely at them and notice that some root very deeply in the soil, some more shallow; some grow for only five months of the year; some grow very late into the summer; and these are the sort of differences that are ultimately what seem to be much more important in the results that we found." So they created 110 circular plots, with 10 of those "natural dynamics plots" sown with an equal proportion of 10 local grasses (based on seed mass), while the balance of the plots consisted of various other permutations of the grasses. Over two growing seasons, certain grasses were more common than others, as would be expected, but no grasses looked like they were heading for oblivion. "The way that niche differences actually stabilize coexistence, and this is a bit subtle or complicated, relates to the fact that they give species advantages when rare and disadvantages when common," he began. "So you can envision, for example, that if there&apos;s a deep-rooting plant competing against a shallow-rooting plant, if the deep-rooting plant becomes exceedingly common in the community, the deep-rooting resources it requires will become unavailable, and the shallow-rooting plant will gain an advantage. And of course, if the tables are turned, then the deep-rooting plant will gain an advantage. "What we actually found is that species that became common in our plot where the niche differences were operating were the same ones becoming common as predicted by the mathematical theory. They just became even more common where the niche differences didn&apos;t put the brakes on their abundance. Conversely, the species that became really rare in the field plots when the niche differences were operating were even more rare when we got rid of the niche differences with the use of the mathematical models." Put succinctly, modeling with niches describes the world — or at least a grassy patch of it — better than modeling using the neutral theory. Of course, there&apos;s a rather obvious difference between say Chorizanthe palmeri (that&apos;s an annual flowering grass, in case you forgot) and a polar bear. And as it turns out, that&apos;s a good thing in this case, even if intuitively the differences are distracting. "The community we study is dominated by annual plants, which have a short, relatively simple lifestyle," Levine said of the field he calls his "lab rat." "And because of that seemingly innocuous feature, we can actually build mathematical models which we believe describe the dynamics of the populations — the ups and downs of the population and what drives their ups and downs." That tractability allows general answers to be derived in a reasonable time frame. And while "the number of people who care about the functioning of serpentine annual communities is not particularly high," the results from that field of wildflowers can have far-reaching ramifications. "We hope the answer that we get in a habitat where we can work will apply very broadly to questions about biodiversity in other systems." All of which raises questions about policy, questions Levine won&apos;t claim — the work was done to "advance pure ecological science" — but will certainly embrace. For example, there&apos;s the "double-edged sword" that the Nature paper suggests about the regulation of species. "It does suggest that if you perturb the system it might come back to where that system essentially should be," which most would see as a good, but also that altering the system — think climate change or excess nitrogen — might permanently disable the system of checks and balances. Another issue circles the importance of individual species. "If species are using their environment differently, the loss of any one of them will have some functional consequence for water quality, biomass production, other types of variables that we as people care about. ... It is those communities in which niche differences maintain diversity that species loss has the greatest impact on plant production and other ecosystem services to mankind." A Miller-McCune Research Essay by Columbia University professor Shahid Naeem on the importance of biodiversity and the true significance of the human species. 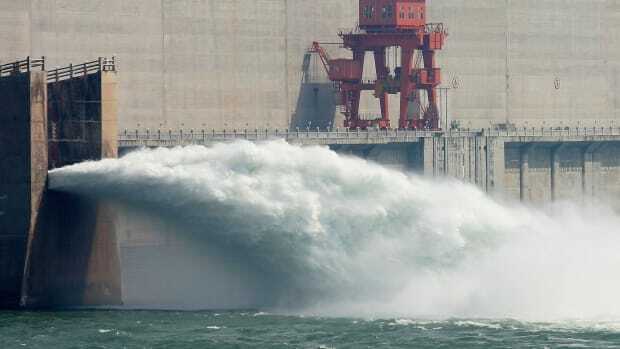 Dams have been linked to habitat degradation, worsened biodiversity, and negative changes in river ecology. 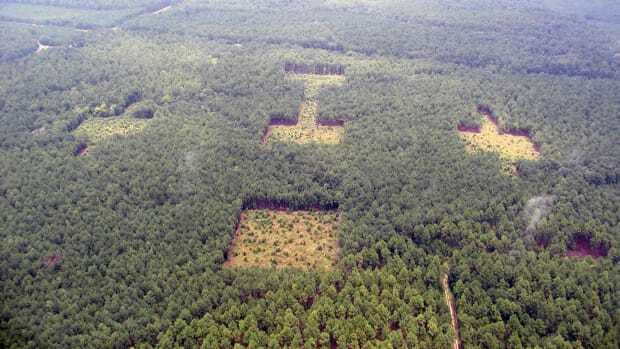 Long-term studies on five continents show how chopping up forest hurts biodiversity. Municipal waste — from poop to heat — can be a valuable resource that could run our cities more cheaply and sustainably, says a hands-on Canadian ecologist. A study on hantavirus and Panama rats suggests another and less obvious benefit to biodiversity — it may diminish the threat humans face from zoonotic diseases.